Welcome to The Calendar on saratogaliving.com—our expertly curated list of the top events, live music, readings, workshops and everything else in between hitting the Capital Region on Fridays, Saturdays and Sundays. As always, The Calendar will be updated on Thursdays, so that you’ll have a jump on your weekend plans. You’ll never have to ask “What’s going on in Saratoga?” ever again! 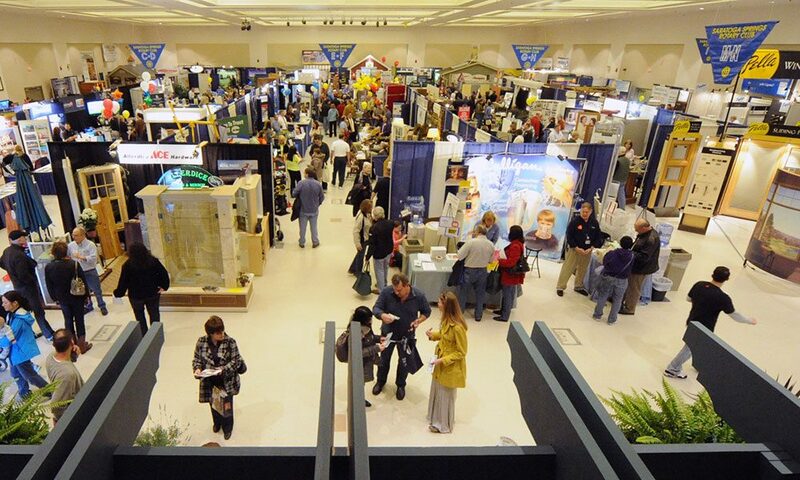 This weekend, the Saratoga Rotary Club will host its annual Saratoga Home & Lifestyle Show at the Saratoga Springs City Center. Now in its 45th year, the Show, which takes place from March 2-4, hosts over 100 regional exhibitors showing off home improvement services, decor and furnishings, energy-saving products, outdoor living and landscaping tools, family recreation options and lifestyle products and services. Event-goers can enjoy both the Home & Lifestyle Show, as well as a fine arts and crafts fair taking place on the 2nd floor. The latter is completely free to get in, courtesy of the event’s sponsor, the Adirondack Trust Company. “With such a wide variety of exhibits, as well as crafts and art to purchase, the show will appeal to homeowners, apartment dwellers and condo residents,” says Deb Czech of the Saratoga Springs Rotary Club. “The show is a fun community event and a chance for people to start planning their spring home and outdoor projects with the help of local experts.” The Saratoga Springs Rotary Club will direct funds raised from the Show to local nonprofit organizations such as the Salvation Army, Franklin Community Center, Saratoga Regional YMCA, Rebuilding Together, Shelters of Saratoga, Code Blue and Saratoga Community Health Center. This year’s Show promises a few firsts. On Saturday, a handful of local restaurants including Longfellows, Bookmakers, Forno Bistro and Olde Bryan Inn will compete in the Rotary Mac ‘n Cheese Bake-off. Attendees can sample recipes from 11am to 3pm, then vote for their favorite. On Sunday at noon, the Show gets its first-ever Tool Demo, a workshop hosted by Allerdice Building Supply and Northern Dean that teaches event-goers how to properly use standard tools like drills, impact drivers and multi-tools, and provides tips for how to complete common household tasks like installing a towel bar and patching drywall.